Are you looking at playing poker again, but you’re sick and tired of those lucky beginners that seem to go all in and take your chips? Me too. I totally know what you’re going through, because this used to really drive me crazy! One minute I was in the lead, the next minute I was the short stack. You start wondering if you can even make any money with those bingo turkeys in the mix. The truth is that you have to get your emotions out of the way first. Deep down, you know that it’s beginner’s luck. They’re going to get torn apart. They’re going to get eaten alive. They’re going to have problems as they move up the stakes. Trust me, the play gets harder with the increase in money. The bingo players that go all in? They’re going to lose those gains that they made off of you. Unless they learn real poker strategy, they’re just going to be bobbing and weaving in the wind, without any type of foundation. That’s a good thing. It shows that you’re not just some fly by night poker player that’s going to give up and find something else to do. It means that you’re going to really be thinking about how you can excel in this game and that’s something that you should be pretty excited about. Some people will find that they’re not making any progress, but is that really the case? In my experience, the answer is no. A lot of people just have gotten to the point where if they’re not taking home big pots that they really feel that they have no place in poker. There’s nothing wrong with grinding it out on the lower stakes until you really start seeing your winrate increase. Even though this is where everyone starts, it’s certainly not where everyone finishes. You might feel pressure to be a big poker shark but you have to let that skill evolve. There’s no reason to feel crushed by lucky players. Even though it’s a natural emotion, the reality is that they’re just lucky. They are going to have to face a day where they really aren’t as lucky as you might think they are, and that day is going to crush them flat. We promise you that. Now then, how do you battle the bingo players directly? Head on, you want to make sure that you are reading them properly. You should have already identified the way that they play. If they rush in with a big all in and the pot isn’t that substantial…just let it go. Letting your pride demand that you win every pot is one of the top ways for the bingo players to get you. It’s the easiest way for them to make money. Unless you get off on the idea of funding someone else’s lifestyle, you must keep your emotions in check. Otherwise, things just aren’t going to work out for the long run. I want each and every one of you to be playing poker for a very long time, and that’s all there is to it. 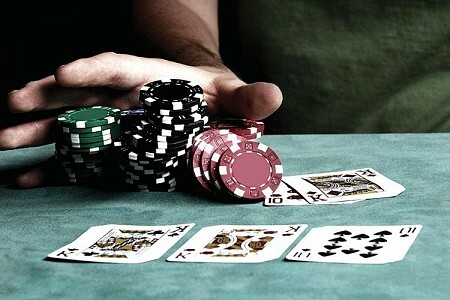 Card Counting: Is it Legal and How is it Done?